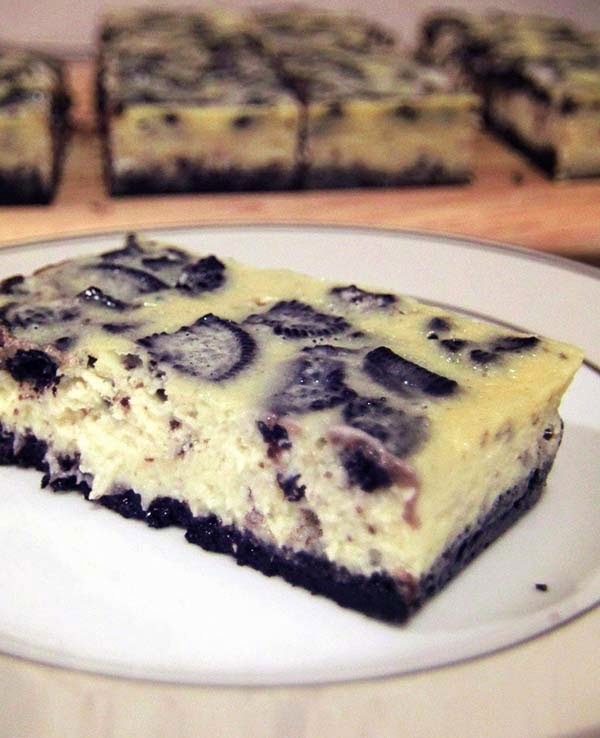 The recipe from these tasty cheesecake bars is from Brown Eyed Baker. It's yummy and simple enough to make. 1. Preheat oven to 325 degrees F. Line an 8x8-inch square baking pan with foil or parchment paper, allowing it to hang over two of the sides. 7. To serve, lift the cheesecake out of the pan using the parchment or foil handles. Slice into bars and serve. Store leftovers in an airtight container in the refrigerator for up to 1 week. 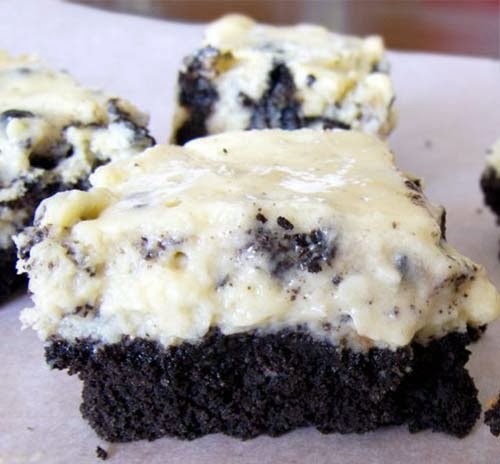 For similar goodies, check out Oreo cheesecake cupcakes.